Looking for summer fashions? Mark. has you covered! The Change Your Ways Dress is the perfect summer vacation dress! You can get 3 different looks and you only have to pack one dress for vacation. No, really! How cool is that?! Even if you aren’t going away on vacation, this is the best dress for summer! I just love the styles and the shade of blue! Retails for $36. The Stripe A Pose Blouse is just simply pretty! 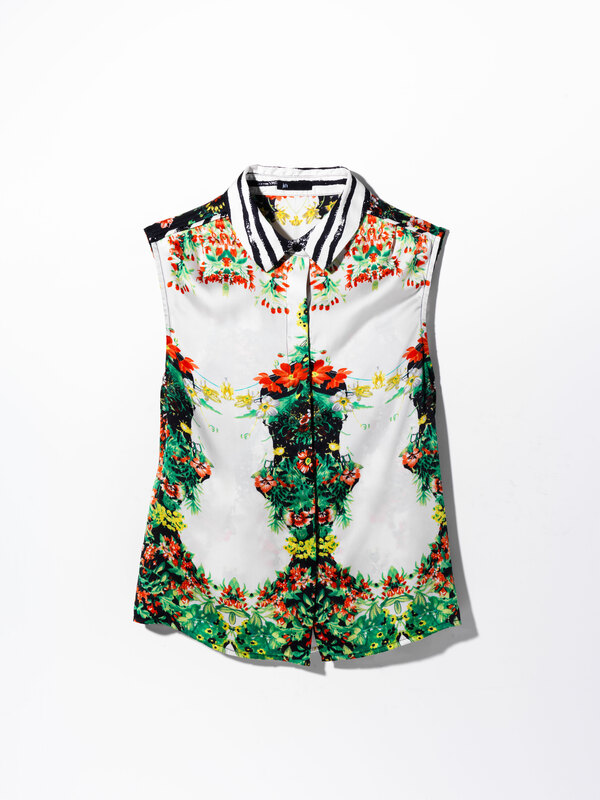 Floral, mirror-print shell meets a graphic, black-and-white stripe collar and it’s just so pretty and great with capris, shorts or even jeans. But, my favorite are the Berry Stylish Sandals! Well, first off..they are my favorite color! They are pretty yet casual and I love the hot pink color and how comfy they are on my feet. These are just too cool! Sandals retail for $34.00. 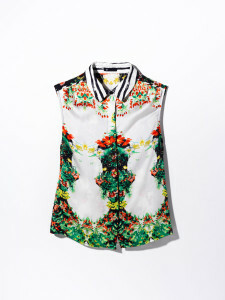 All fashions and more can be found at mark.com. Self Disclosure: I received these summer fashions for free to facilitate this feature but any opinions expressed are truthful. Photo Credit: mark. Disney/ABC Television Group is today re-launching its industry-defining WATCH services for Disney Channel,Disney XD and Disney Juniorwith an intuitive, character-focused redesign and new features that include the launch of Disney Junior en Español, access to Radio Disney, the ability to play games on Android and Kindle Fire devices and premieres of some of each networks’ most anticipated programming. – Disney Junior is launching Disney Junior en Español, marking the first time the network has made an entire block of programming available in Spanish on mobile devices. Series include “Sofia the First,” “Doc McStuffins,” “Jake and the Never Land Pirates,” “Mickey Mouse Clubhouse” and “Henry Hugglemonster,” as well as short-form series “Minnie’s Bow-Toons” and “The Doc Files.” Additionally, Android users can draw, paint and color pages from their favorite Disney Junior shows with Disney Junior Color! en Español. – World premiere of a new “Mickey Mouse Clubhouse” episode “Donald Jr.” available in English and Spanish. – Launch of Radio Disney Junior, a six-hour block of programming hosted by Genevieve Goings (“Choo Choo Soul”) and featuring “The Best of Radio Disney Junior with Genevieve”; “Magical World of Disney Junior,” featuring music from popular Disney and Pixar movies; “Pirates & Princesses” themed songs; “Storybook Hour” where kids can hear one of their favorite Disney stories like “Brave,” “The Little Mermaid,” “Tangled” and “Monsters Inc.”; and “Get Up and Move,” a one-hour programming block dedicated to health and wellness. – Android and Kindle Fire users have access to exclusive Disney Junior games and activities, including “Disney Junior Color,” which offers interactive coloring pages from popular series; “Disney Junior Puzzles,” featuring 90 puzzles, each with a magical Disney Junior video reward; and “Mickey’s Pet Playhouse,” which lets kids play along with Mickey Mouse to adopt, groom and play with virtual pets. – The world premiere of the highly-anticipated comedy series “Girl Meets World” is available for viewers who have verified their account with a participating TV provider.”Girl Meets World” premieres June 27 on Disney Channel. – Live audio stream from Radio Disney. – Five exclusive games, available only to Android and Kindle Fire users. “Jessie’s Run,” “Chew Toy Chase” and “Riley’s Message Mayhem” are quick time-based games that challenge players to beat the clock with their favorite characters from “Jessie,” “Dog With A Blog” and “Girl Meets World.” Authenticated users can also play “Sticker Stacker,” a game with over 70 levels, and “Slide Me Crazy,” a puzzle-based game featuring favorite Disney Channel characters in exciting, high-speed game challenges. – On June 23, verified viewers will be able to watch the world premiere of the Disney Channel Original Movie “Zapped,” starring the multi-talented recording artist/actress Zendaya (“Dancing with the Stars,” “Shake It Up”). “Zapped” premieres June 27 on Disney Channel. – Android and Kindle Fire users will also have access to three new Disney XD games exclusive to the WATCH experience: “Phineas and Ferb: Summer Soakers” takes the backyard water fight to a whole new dimension; “Prank-a-Tron 5000” lets users create their own soundboards, prank noises and audio effects from the random, funny world of Disney XD; and “Ultimate Air” dares players to take the ultimate challenge and defeat Disney XD villains in this high-stakes arcade style game. Powered by Ludei’s HTML5 hardware acceleration technology, all the WATCH games developed by Disney/ABC Television Group’s Digital Media team are designed to deliver a robust, high-performance fan experience across multiple mobile platforms. The WATCH apps have been downloaded more than 20 million times and have over 1.7 billion video views. Currently Disney/ABC Television Group has agreements in place for its authenticated WATCH products with a variety of Multichannel Video Programming Distributors (MVPDs), including Comcast, Cablevision, Cox Communications, Charter Communications, DISH, Midcontinent Communications, Verizon FiOS, Google Fiber and AT&T U-verse. The service is available on multiple devices, including desktops, iPhones, iPads, iPod touch, select Android devices, Amazon Kindle Fire, Apple TV, Nabi, Windows 8 and Roku. Over the past several years, the Disney/ABC Television Group has consistently unveiled innovative, award-winning multiplatform services and apps. In addition to the WATCH services, other notable DATG apps include the Disney Junior Appisode app, which offers true interactive viewing, allowing kids ages 2-7 to touch, tap, swipe, tilt, shake and talk their way through various fun-filled activities embedded into episodes of some of their favorite Disney Junior shows; the award-winning WATCH ABC Player and WATCH ABC Family Player apps; the ABC News app; and the Emmy Award-winning official Oscars app, which provided unique backstage viewing experiences for the 83rd, 84th, and 85th Academy Awards. The Disney/ABC Television Group is composed of The Walt Disney Company’s global entertainment and news television properties, owned television stations, and radio stations. This includes ABC Entertainment Group, ABC News, ABC Owned Television Stations Group, Disney Channels Worldwide, Radio Disney and ABC Family, as well as Disney/ABC Domestic Television and Disney Media Distribution. The Company’s equity interest in Hulu and its 50% equity interest in A&E Networks and Fusion round out the Group’s portfolio of media businesses. Roadshow Revival’s “A Tribute To The Music Of Johnny Cash” Returns To Ventura June14TH, 2014 Giveaway Opportunity! Guitarist for punk rock institution Social Distortion to debut as solo artist Jonny Two Bags at the Ventura County Fairgrounds on June 14th. The star-studded lineup for the 2014 edition of Ventura’s annual “A Tribute to the Music of Johnny Cash” just keeps getting better. Sharing the stage with powerhouse acts such as Los Lobos, the Paladins and the Americans will be featured special guest Jonny Wickersham, guitarist for the renowned Southern California punk outfit Social Distortion. The festival will be the debut of his solo project, Jonny Two Bags, in celebration of his critically acclaimed debut album “Salvation Town”. ROADSHOW REVIVAL’S “A Tribute to the Music of Johnny Cash” 6th annual event will take over the grassy fields at the beachfront Ventura County Fairgrounds on Father’s Day weekend – Saturday, June 14, 2014 – 10 West Harbor Blvd. Ventura, CA 93001. This year’s event will feature, popular outlaw country, rockabilly, bluegrass and Johnny Cash tribute bands plus a pin-up girl pageant, hot rods, custom cars and motorcycles, Johnny Cash memorabilia, food & beverage, a kid’s corral and scores of vendors with unique offerings and collectibles. Visit www.facebook.com/theroadshowrevival for up-to-date event information, merchandise specials, and ticket giveaways. Tickets are available online; all performances and activities included. Discounted tickets are available with Promo Code “RSR2014AFC” until June 13, 2013. For more information, including bands and performance schedule, please visit www.roadshowrevival.com. We have teamed up for a fun Giveaway! One winner will win two tickets to the event! To enter, simply leave us a comment below! Deadline to enter is June 5, 2014 at noon. One winner will randomly be selected from all entries. Self Disclosure: I received free tickets to feature this post and offer a giveaway. The much-awaited Disney release, Maleficent, starring Angelina Jolie and Elle Fanning, opens this weekend. The story twists one of our favorite fairy tales in a new and unexpected direction. As KIDS FIRST! Film Critic Samantha A., age 11, reveals, “I assumed that I knew what it was going to be about but it turned out to be a totally unpredictable and amazing movie.” See her full review below. Maleficent is a remake of the Disney classic “Sleeping Beauty.” I assumed that I knew what it was going to be about but, it turned out to be a totally unpredictable and amazing movie. Maleficent is about a betrayed fairy (Angelina Jolie) that curses the king’s infant daughter Aurora as revenge. She soon discovers that when Aurora grows up, she is the only one who can restore the peace and happiness that everyone needs to get them out of the depression caused by revenge and war. This movie takes “Sleeping Beauty” and turns it into a completely different movie. By far, this is the best Disney movie I’ve seen and one of the best movies I’ve seen in a while. Everything is just right. For example, the music sets the right mood in every scene. It is strong and loud when it needs to be and quite and shy at other times and, at certain points, it is playful and happy. It really pulls the whole movie together. Along with the jaw-dropping music, this movie has amazing actors starting with Angelina Jolie and Elle Fanning (Auora). They fit each role perfectly almost as if they were born for these roles. 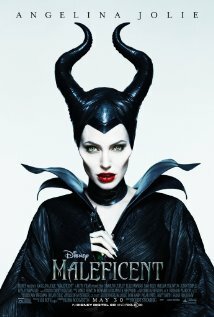 This movie is very interesting to watch because it isn’t entirely based on “Sleeping Beauty” so you get to see a completely different side of Maleficent before she becomes the villain that she is known as. Throughout the movie I found myself wanting the movie to go quicker to see what would happen next but not wanting it to end anytime soon. I think that the director Robert Stromberg and the writers Linda Woolverton and Charles Perrault really outdo themselves with this movie because I cannot stop obsessing about how great it is. I give this movie 5 out of 5 perfect stars and recommend it for ages 9 to 18. To be honest, this movie is a movie that you should be sure not to miss because IT IS THAT GOOD! 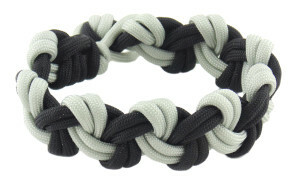 Originally used during World War II as parachute line, durable paracord has become the brightly colored material of choice for a rapidly growing set of crafters. 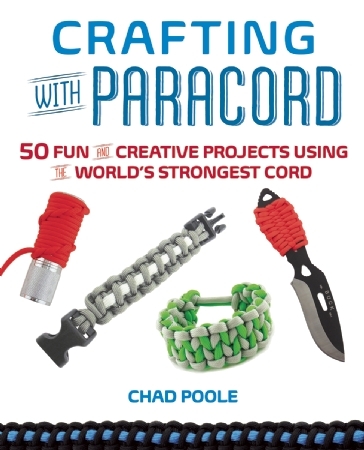 Introducing “Crafting with Paracord,” a new book offering step-by-step instructions and full-color photographs for a variety of practical and decorative projects. 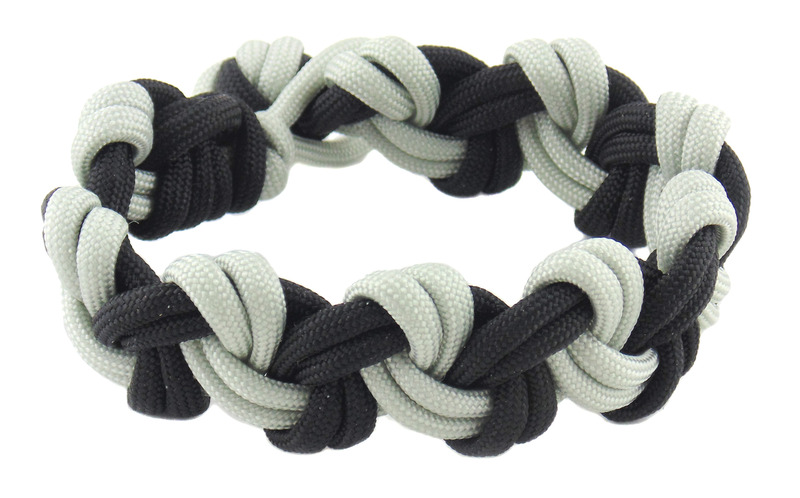 From bracelets, bag straps and leashes to knife handle wraps, keychains and watchbands, “Crafting with Paracord” is the most approachable guide to getting started with this ingenious rope. And in an emergency, unraveling a bracelet or keychain just might save your life. Complete with knot-tying basics and detailed tutorials, this book will inspire you to go wild with paracord. The book is available at Ulysses Press for $14.95. Self Disclosure: I received this book fro free but any opinions expressed are 100% truthful. Michaels, North America’s number one arts & crafts retailer, will offer in-store crafting events for adults and children throughout the month of June, including Free Family Craft Time for Father’s Day where kids can make a card for dad for free! Make Dad’s day with a thoughtful card that you design yourself. Available while supplies last. Saturday June 14 │1-4 p.m.
Make a tie-dye t-shirt in store with Dad and create lasting memories. Purchase a t-shirt and meet up in the classroom for some crafty fun. See a store associate for details today. Sunday June 22 │1-4 p.m.
Greet guests with your patriotism and creativity. Purchase your supplies and meet in the classroom to create and have fun. See a store associate for details today. Saturday June 28 │12:30 -2:30 p.m.
Sunday June 29 │1-3 p.m.
June 7 │ 10-12 p.m.
Make a fierce Stormy or Toothless visor for summer fun at the How to Train Your Dragon 2 Crafty Visor Event. Just $2 per 30-minute session (includes supplies). Ages 3 and up are welcome to this event. See a store associate for details today. June 14 │ 10-12 p.m. Create some picture perfect fun for Dad at the Father’s Day Wood Frame Event. Just $2 per 30-minute session (includes supplies). Ages 3 and up are welcome to this event. See a store associate for details today. Let your imagination take flight at the How to Train Your Dragon 2 Perler Key Chain Event. Just $2 per 30-minute session (includes supplies). Ages 3 and up are welcome to this event. See a store associate for details today. Have sparkling Independence Day at the Fourth of July Wood Stars Event. Just $2 per 30-minute session (includes supplies). Ages 3 and up are welcome to this event. See a store associate for details today. Looking for a great resource for teaching about Ancient Civilizations? 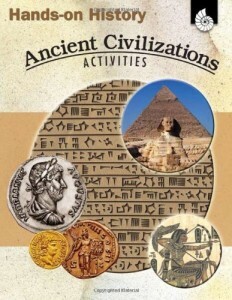 Hands-On History Ancient Civilizations Activities by Garth Sundem makes learning fun! I like that this book is interactive and it is a great resource for homeschool and also teachers, in general. There is prep time involved which may take almost up to 50-60 minutes but it is worth it because it makes learning more fun for kids. Although it may be easier to do some of the activities in a classroom setting, it is still a great resource for homeschool parents. I am looking forward to using it next school year to teach my 10-year-old son about Ancient Civilizations. Self Disclosure: I received this book for free to facilitate this review but all opinions expressed are truthful. The California State Legislature unanimously passed a bill yesterday with bipartisan support to recognize the essential role that museums have in the State of California as educational institutions. This overwhelming endorsement complements a program underway to put the beloved beagle Snoopy on California license plates and help fund the state’s museums at the same time. 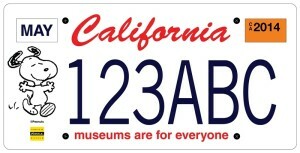 In recognition of California Museums Month, Californians are invited to visit www.snoopyplate.com to pre-order their Snoopy license plates and support the vital work of museums in preserving and sharing our State’s culture and heritage. Assembly member Ian Calderon (D-Whittier) introduced ACR 115 California Museums Month, a measure that designates May 2014 as California Museum Month and invites all Californians to recognize and celebrate the vital role museums serve as educational institutions. “California museums play an essential role in our state,” stated Assembly member Calderon in a press release. “They are not only the key drivers of tourism, but also an excellent source of educational programs that enhance a student’s learning experience.” Assembly member Calderon is the Chair of the Committee on Arts, Entertainment, Sports, Tourism and Internet Media. The license plate features a reproduction of an original drawing of Snoopy by Peanuts cartoonist Charles Schulz. Proceeds from sales will establish a competitive grant program to support California’s museums, administered by the California Cultural and Historical Endowment (CCHE), a State entity. 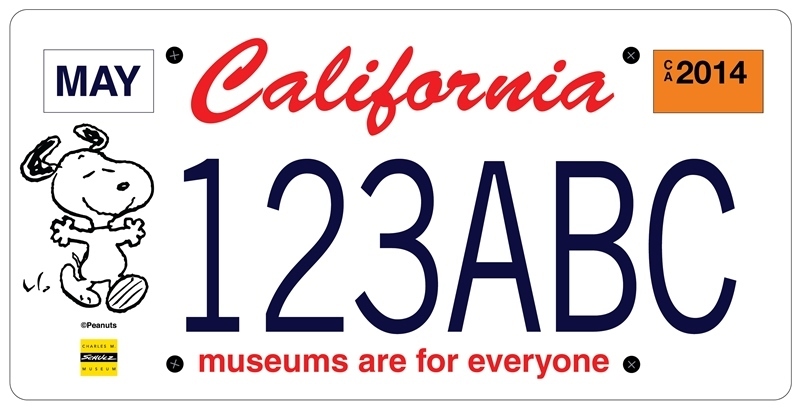 In less than four months, over 3,800 Californians have pre-ordered the special interest license plate to support museums – which is more than half the number needed to establish the program. The Department of Motor Vehicles will begin issuing the Snoopy license plates upon receipt of 7,500 paid applications. The PEANUTS characters and related intellectual property are owned by Peanuts Worldwide LLC, a joint venture owned 80% by Iconix Brand Group, Inc. and 20% by members of the Charles M. Schulz family. 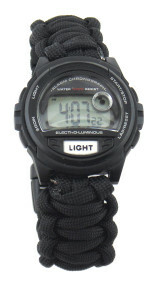 Iconix Brand Group, Inc. owns, licenses and markets a growing portfolio of consumer brands. The company licenses its brands to a network of leading retailers and manufacturers that touch every major segment of retail distribution from the luxury market to the mass market in both the U.S. and worldwide. Through its in-house business development, merchandising, advertising, and public relations departments Iconix manages its brands to drive greater consumer awareness and equity. Self Disclosure: No compensation was received to post but SoCal City Kids loves Snoopy and Museums!